Add some fun in the workday. Bring your colleagues together and organize a workplace fundraiser in support of NYGH. 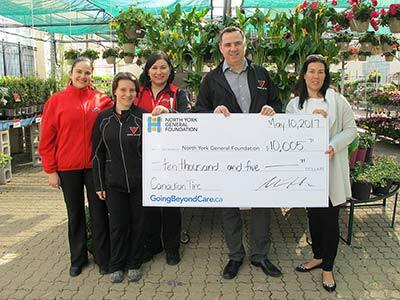 Canadian Tire Sheppard and Leslie collected donations for NYGH.